Whether you join us for dim sum, call for delivery or order catering for your wedding, corporate function or banquet, one thing is certain: our award-winning Chinese food is bound to please you and your guests. While we are famous for our ginger beef, our menu offers everything from pork, chicken and duck dishes to steamed and deep fried favorites. 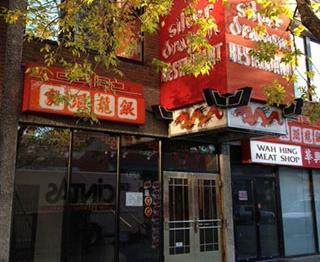 Maybe that is why Silver Dragon Restaurant has been a destination for tourists and locals alike in Calgary since 1966. Start with spring rolls, shrimp dumplings or pot stickers, and then enjoy fresh won ton or hot and sour soup. Why not share a seafood platter, salt and pepper squid, garlic dry ribs, or stir-fried fresh clams in black bean sauce? Add a one course Peking duck, and soon you will be ready for your main courses. Will It Be Beef, Seafood, Fish or Lobster for Your Main Dish? Our seafood tank includes live lobsters and crabs, and our trained chefs prepare your main dish to perfection, whether you choose pan-fried, steamed, spicy Szechuan style or in a creamy butter sauce. We also feature a variety of prawn and vegetable dishes, chicken, duck, pork, spareribs and more. All in all, our chefs can prepare over 200 dishes. 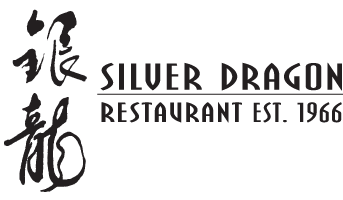 With a menu that includes vegetable spring rolls, vegetarian pot stickers, and braised bean curd sheets in oyster sauce served with Shanghai bok choy, the chefs at Silver Dragon Restaurant have something to satisfy all your vegetarian cravings. Our Buddhist Feast is always a favorite and includes braised black mushrooms, bamboo shoots, vermicelli, dry lily bulbs, seaweed, snow mushrooms, black fungus and other vegetables. And if you are in the mood for something spicy, why not try our Ma Po Fried Tofu? Contact us to order take-out or have your next corporate event catered. Our take-out menu features dinner for 1 up to dinner for 10+. Our chefs are from Northern and Southern China.